When can you carry out the property inspection in Kidlington ? We can carry out surveys 7 days a week in Oxfordshire, and can be carried out at short notice, evenings or weekends. We are the UK’s leading providers of UKVI property survey reports. Unfortunately there are companies, especially estate agents offering this service that are not qualified to undertake these inspections. 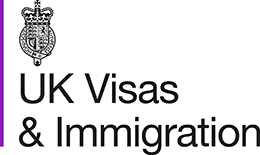 Clients have come to us with their applications declined as the UKBA Entry Clearance Officer was not been satisfied.